Calculus Capital has completed a £2m investment in fast growing, subscription e-commerce business, Cornerstone. 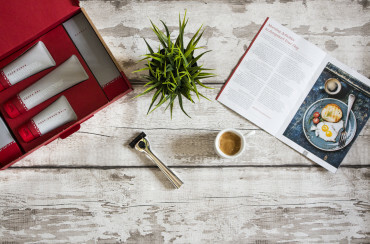 Cornerstone provides high quality British skincare products and German engineered razors to customers in the UK via an online subscription service. Founded in 2014 by entrepreneur and former marketing strategist Oliver Bridge, the Company has demonstrated impressive growth in subscriber numbers. The European male grooming industry is worth $6.7 billion and is predicted to achieve a compound annual growth rate of 8.4% until 2024*. E-commerce is also growing rapidly with 15.5% of all UK retail sales recorded to be online in March 2017 – both are trends which strongly support Cornerstone’s business model. Cornerstone previously raised funds from experienced angel investors and this current £3.5 million round, led by Calculus Capital, sees them adding to this impressive list. The team has grown to 27 members of staff at Cornerstone’s London HQ and has won many accolades including ‘Best Razor’ in both 2015 and 2016 from Shortlist and AskMen and twice won the publicly voted ‘People’s Champion’ award at the annual Start-ups Awards. CEO and Founder Oliver was also included in the 2016 ‘Forbes 30 Under 30’ list of entrepreneurs to watch. Cornerstone will use the funds for enhanced customer acquisition marketing and to broaden its product range into new toiletries categories which will help to retain existing and attract new customers.